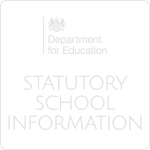 The latest OFSTED report can be found here. To ensure students make an effective transition to Newark Academy, a broad and balanced key stage 3 curriculum is provided with a key focus on core subjects. We emphasise the development of literacy and numeracy through our learning and our curriculum reflects this. We also offer a comprehensive programme of study including Science, Modern Foreign Languages, Humanities, Computing, Design and Technology, Expressive Arts, PE and RE. 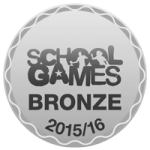 This provides all students with a solid foundation that prepares them for success at KS4. Our curriculum follows National Curriculum guidelines and aims to provide a broad, balanced learning experience for all. At Key Stage 5, students study a range of A-Level and equivalent qualifications which allow students to follow a tailored programme of study which lead to a range of progression pathways based on the individual aims and aspirations of students. Our aspirations and expectations are extremely high which have led to a number of Oxbridge and other Russell Group universities. We are proud of our partnerships with local FE and HE institutions and provide a range of pathways for students who wish to follow either an academic or vocational pathway as part of their next phase of learning. Newark Academy has a very clear ethos focussed on the achievement and well-being of all our students. We believe that a school should be at the very heart of the community and place great value on collaboration, partnership and service alongside a range of core values that compliment academic excellence. We develop commitment, independence and courtesy in all or our students. We expect the very highest standards and in return we value and respect student ideas and opinions. We are relentless in the pursuit of academic excellence for every student. We insist on the highest standards of behaviour at all times. We care deeply about our students and expect them to work hard and be kind. We encourage staff to be creative, independent and ambitious. We expect them to challenge and inspire our students, providing high quality learning and experiences that motivate students to be the very best they can. High standards and academic rigour underpin our daily work. We promote the development of leadership skills and offer a range of opportunities for students to take an active role in improving their school. We believe that a wide range of enrichment opportunities promote independent learning. Students are expected to learn beyond the classroom and to develop the skills and attributes they need to lead full and successful lives. Pupil Premium funding allocation, interventions and impact report can be found here. Newark Academy is committed to the promotion of equality of opportunity and places great value on the diversity of its community. The provision of equality of opportunity and respect for the needs and rights of the individual are fundamental to the values of Newark Academy. Newark Academy fulfils its general and specific duties in relation to equality of opportunity and actively demonstrates due regard to the need to eliminate discrimination, advance equality of opportunity, and foster good relations between different people when carrying out their activities, in all strands as identified in the Equality Act 2010. - To improve the attendance of all students to at least 90% and continue to keep persistent absence to be below national figures. - To improve the achievement of SEND students and disadvantaged students and to narrow the achievement gap between SEND students and non-SEND students and disadvantaged and advantaged students. 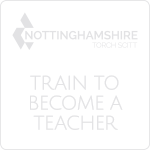 - To raise expectations amongst staff and students in order that 80% of young people on roll to make at least nationally expected progress each year in all core subjects. - To ensure that all young people who are eligible for pupil premium (in receipt of free school meals in the last 6 years or are a child in care) have adequate support so that they attend school regularly and that the majority make nationally expected progress that is in line with their peers. - To review and revise the curriculum so that it represents a diverse culture and society and encourages tolerance and respect. - To ensure that images used around school, for example, in lessons, noticeboards, assemblies represent the diverse culture and society we live in. - To improve communication with parents and carers who are marginalised by personal circumstances such as lack of transport, language barriers or low confidence by liaising with them regularly and meeting with them regularly and providing support such as interpreters, as necessary. 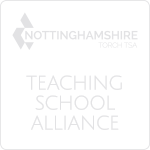 - To improve attendance at parents' evenings, particularly for those students who are eligible for pupil premium funding, have a special need or disability or for whom English is an additional language. - To ensure that young people who attend Newark Academy have a voice through promotion of the student council and increased opportunities for wider student participation and leadership.